It's rare that Marvel makes a movie that doesn't have sequels. To the best of my knowledge the only one is Hulk, and there are all sorts of legal reasons for that. So this was a no-brainer whether Black Panther was a mega hit or not. 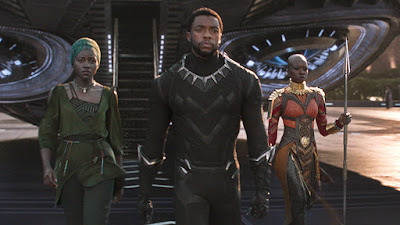 The question is how does Marvel make the best use of the many amazing characters introduced in Black Panther, in particular the Dora Milaje and Shuri. We know they'll be seen next in Avengers: Infinity War, but what about solo movies and spinoffs? Might that happen some day? Chances are Black Panther 2 was somewhere in the group of new Marvel release dates announced last week. For now, look out for T'Challa, Shuri, Okoye, and more when Infinity War drops on April 27th.